A Stevens Point couple whose humanitarian efforts have improved thousands of lives will receive honorary Doctor of Humane Letters degrees bestowed by the University of Wisconsin-Stevens Point, Chancellor Bernie Patterson announced today. John and Patty Noel, alumni of UW-Stevens Point, will each receive an honorary doctorate at the spring commencement ceremony May 21. Patty and John Noel, who graduated in 1970 and 1971, respectively, founded Travel Guard, the Noel Group, and Berkshire Hathaway Travel Protection. “Their tireless support of humanitarian causes have transformed – and in many cases saved – the lives of thousands of individuals,” Patterson said. · They helped establish the Portage County chapter of the Boys and Girls Club in 2001. This vital social service organization in our community now employs 10 Full Time Professionals and another 60 Part-Time staff serving almost 2,000 children in 9 locations. · They created the Noel Compass Scholar Program at UW-Stevens Point in 1996 to identify and recruit promising minority students from some of the most underserved and challenged high schools in Wisconsin. 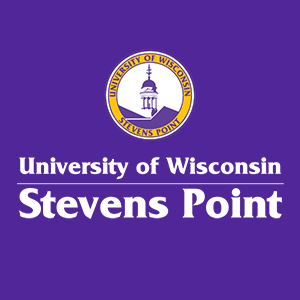 The program awards full tuition, fees, room and board at UW-Stevens Point to students selected in a competitive process. Additionally, the Noel Compass Scholars receive paid internships at Berkshire Hathaway Travel Protection. This partnership seeks diverse students who have strong academic and leadership potential and provides them with the tools and support they need to graduate from college and become productive, thriving citizens. In the past 10 years, 45 young men and women have participated and 42 have earned college degrees. · They created the Make a Mark Foundation in 1993 to address an orphan crisis in sub-Saharan Africa. The nonprofit foundation has provided education, health and development opportunities to thousands of adults and children in Kenya and South Africa. The project has created sustainable financial solutions to residents of Nyumbani Village through the planting and harvesting of Melia trees and sunflowers for sale and profit. 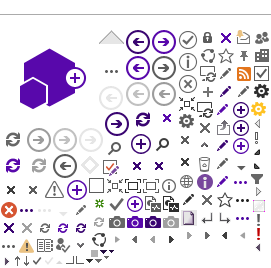 · They have supported Operation Bootstrap since 1983. Operation Bootstrap provides the necessities of life to underserved families in Portage County, helping more than 6,500 families annually. · They provided a substantial gift for the renovation of the Noel Fine Arts Center at UW-Stevens Point in 2001. Their generosity helps advance one of the best fine arts programs in the Midwest. Noel Compass Scholars praise the couple. “John and Patty Noel inspired me with their selfless humanitarian actions. They showed me that with heart and dedication, people can accomplish all their goals and dreams no matter their background,” said Silvia Bautista, who graduated from UW-Stevens Point in 2012. Originally from Puerto Rico, she grew up in Milwaukee. The Noels are the third and fourth people to receive honorary doctorates in UW-Stevens Point’s 122-year history. The first was Melvin Laird, former congressman and secretary of defense in 2011. His successor to Congress, David Obey, received the second honorary doctorate in 2015.